The term electric motor/generator is used instead of alternator, electric motor and starter. In principle, any electric motor can also be used as an alternator. When the electric motor/generator is driven mechanically, it supplies electrical energy as an alternator. When the electric motor/generator is supplied with an electrical current, it works as a drive. Electric motors/generators used for propulsion are water-cooled. Air cooling would also be possible but complex due to space and the amount of heat generated. 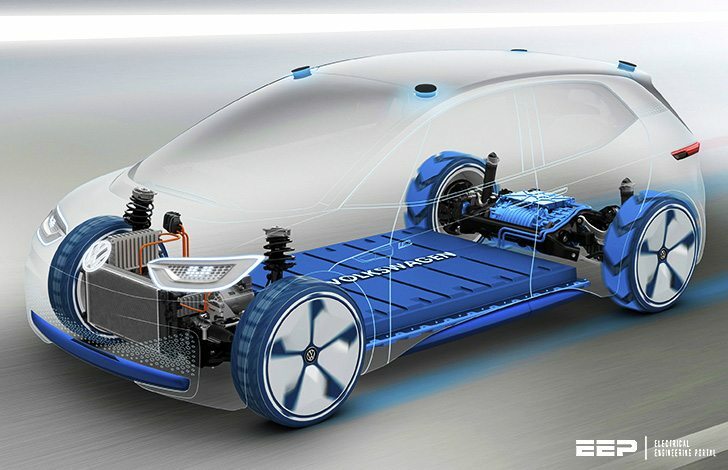 In full hybrid vehicles (HEV), the electric motor/generator also functions as the starter for the combustion engine. Three-phase synchronous motors are often used as the electric motor/generator. A three-phase motor is powered by a three-phase alternating current. It works with three coils that are arranged in a circle around the rotor to form the stator and are each electrically connected to one of the three phases. Several pairs of permanent magnets are located on the rotor in this synchronous motor. Since the three coils are supplied sequentially with a current, together they generate a rotating electrical field that causes the rotor to rotate when the electric motor/generator is used to drive the vehicle. When used as an alternator, the movement of the rotor induces a three-phase alternating voltage in the coils that is transformed into a direct voltage for the high-voltage battery in the power electronics. Normally so-called “synchronous motors” are used in vehicles. In this context, the term “synchronous” means “running in synchronism” and refers to the ratio of the rotation speed of the energised field in the stator coils to the rotation speed of the rotor with its permanent magnets. The advantage of synchronous motors compared with asynchronous motors is the more precise control of the motor in automobile applications. The electric motor/generator is very environmentally compatible thanks to the lack of noise and harmful emissions. The electric motor/generator responds quickly, has good acceleration figures and a high level of efficiency. In contrast to combustion engines, electric motors supply their nominal power steplessly over a broad rpm range. The maximum torque is available even at low rpm (i.e. when pulling away) and only drops once the motor reaches very high speeds. As a result, neither a manually operated transmission, an automatic transmission nor a clutch are required. The direction of rotation of an electric drive motor is freely selectable. It can turn clockwise to move the vehicle forwards and counter-clockwise to reverse it. 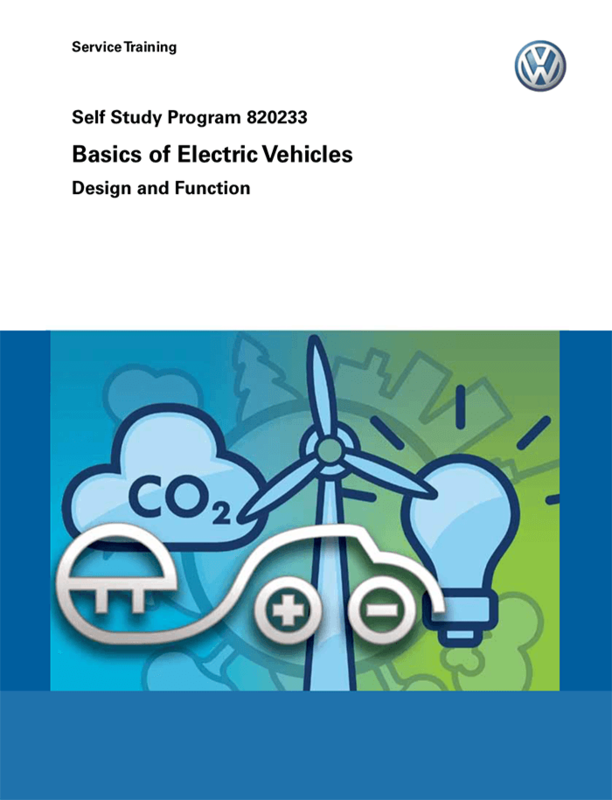 Title: Design and Function Basics of Electric Vehicles – Volkswagen Group of America, Inc.